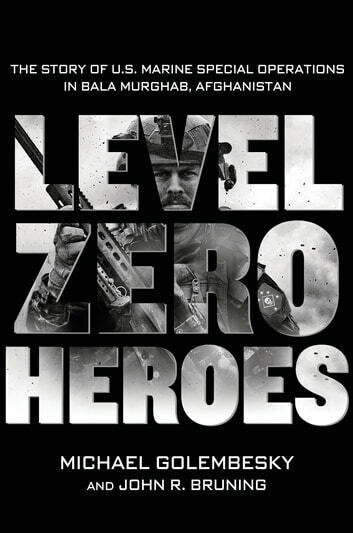 In Level Zero Heroes, Michael Golembesky follows the members of U.S. Marine Special Operations Team 8222 on their assignment to the remote and isolated Taliban stronghold known as Bala Murghab as they conduct special operations in an effort to break the Taliban's grip on the Valley. What started out as a routine mission changed when two 82nd Airborne Paratroopers tragically drowned in the Bala Murghab River while trying to retrieve vital supplies from an air drop that had gone terribly wrong. In this one moment, the focus and purpose of the friendly forces at Forward Operating Base Todd, where Team 8222 was assigned, was forever altered as a massive clearing operation was initiated to break the Taliban's stranglehold on the valley and recover the bodies. Great read. 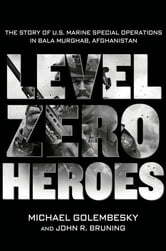 Nice to read about the Marine Corp. Special Forces. Instead of always the SEALs. Nice to not they are not the only ones in the Special Forces community . This book was a great read.